Contract adds support for U.S. Navy CMV-22B variant to existing U.S. Air Force and U.S. Marine Corps customers. 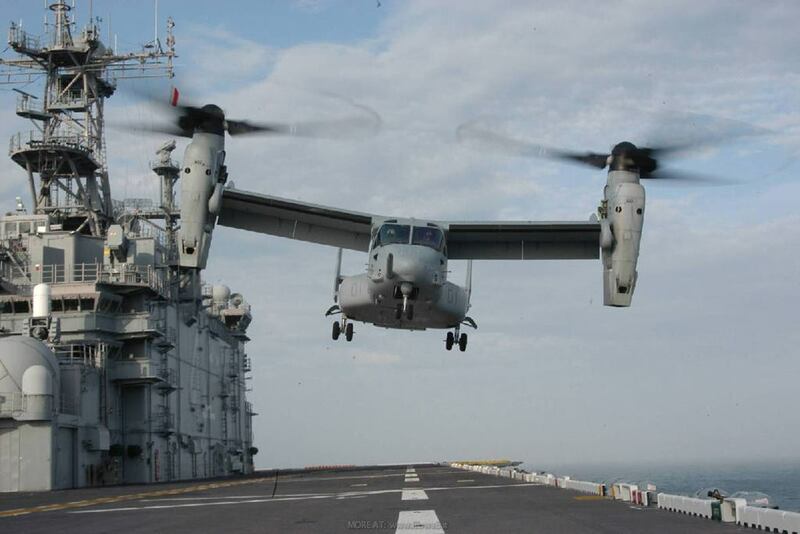 Bell Boeing awarded $144 million for V-22 support. January 18, 2019 – The Bell Boeing Joint Program Office has been awarded an estimated $143,863,184 firm-fixed-price requirements contract for performance-based logistics and engineering support for the V-22 platform. This is an 11-month base contract with four one-year option periods. Locations of performance are Texas and Pennsylvania for V-22 aircraft belonging to the U.S. Navy, U.S. Air Force and U.S. Marine Corps. The contracting activity is the Defense Logistics Agency Aviation, Philadelphia, Pennsylvania.